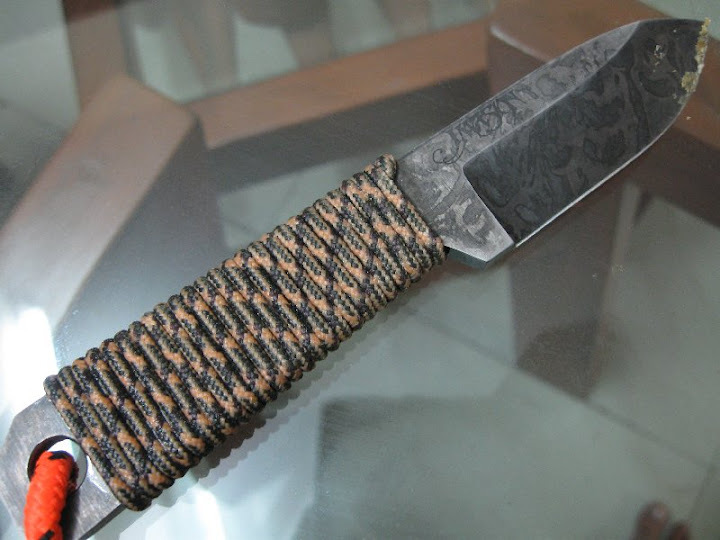 Home • Forum ‹ Gun Care & Accessories ‹ Knives, Bow-Arrow & Other edged tools. Discuss about knifes, bow-arrows, cross bows & other edged tools. what is the real purpose of a paracord on knife handle and sometimes seen on the sheath ? Is it only for asthetic or there are practical purposes also? I am a no knife man yet but really getting hooked to it. Trying to get few good knives, and understand the knife world. To make the handle more comfortable, or to add grip, or, you can always untie the paracord and use it in a survival situation. If your knife fails to kill the chicken, you can hang it to death using the paracord. hahahaha...or maybe use it for emergency rakshabandhan ! Actually The paracord can be tied on to the knife handle as a standby, or even kept separately. Its just a length of rope which is lesser in dia than normal ropes, but with high strength, that's what makes it very versatile in use, it can take your body weight too. Check out the link below.It should answer your question. The paracord wrap on the knife handle is just to give the knife a more comfortable and secure grip. The wrapped sheaths are just a means of carrying some extra paracord with oneself to be used when the need arises. Paracord is also known as 550 cord or Type III. This is the most commonly available one. Called 550 as its tested and rated for a minimum breaking load of 550 pounds. The cord is made up of an outer cover or sheath and 7 inner (separate) yarns / strings which are again individually made up of 3 strands each. If needed the over cover may be stripped off and the inner strings may be used for various applications limited only by ones imagination..
where can you buy paracord from? There are many uses of a paracord on a knife. Google it, some very interesting videos on YouTube are also available that explain the use of a paracord. guy do you think the asking price of olive planet for the paracord is justified and are there any alternatives. Return to Knives, Bow-Arrow & Other edged tools.